I realize we’re already into February, but I’ve finally got around to jotting down my favourite music for 2008. I tried to keep the lists to the top 10, but when it came to jotting down my favourites for the bootleg songs, I honestly couldn’t chop it down to 10… So that ended up being a list of 14. 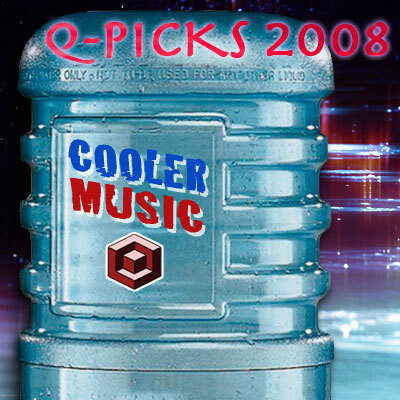 From Qubic “a few of his favourite things” top Cooler Music picks of 2008. Hanging out at the cooler has never been …. never mind, you get the idea.